An ice storm this past weekend damaged a few trees around the camp and retreat center here in Michigan, but no huge damage occurred. On the plus side…the trees were decorated in a beautiful way. 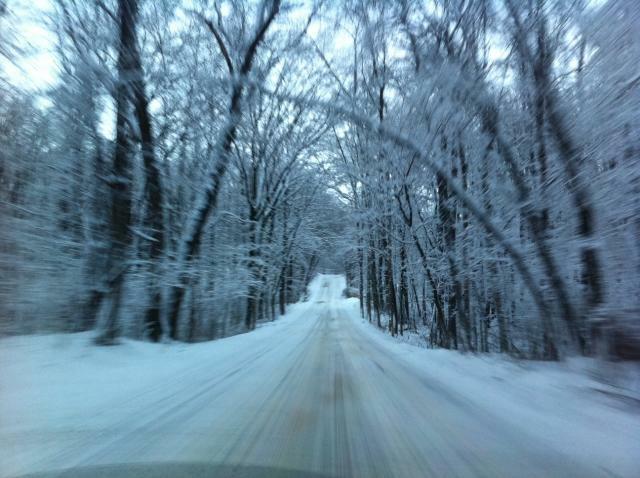 Here is what the Michigan back roads looked like on the way to the retreat center. The trees at the camp and retreat center were most beautiful early morning and late evening when the sun was rising and setting. So for those of you coming up this weekend for Ice Camp from Illinois, Indiana, and Ohio, you’re in for a real treat!